Fort, Marie-Antide. 2009. “De Foça à Marseille en galère, comme il y a 2 600 ans.” L’Obs avec Rue89, May 22, 2009. https://www.nouvelobs.com/rue89/rue89-paristanbul/20090522.RUE7848/de-foca-a-marseille-en-galere-comme-il-y-a-2-600-ans.html. 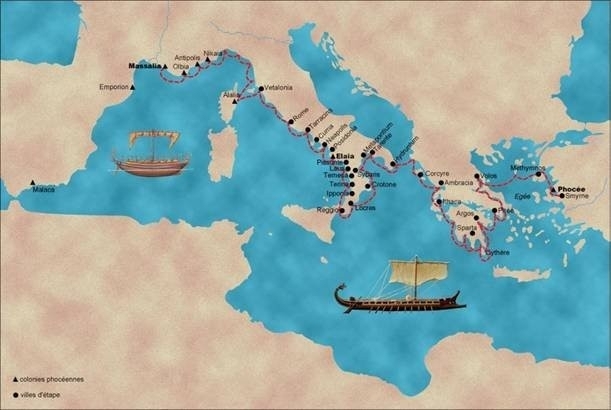 A first century Greek named Strabo documented an account he heard or read on the founding of a colony at present day Marseilles, southern France. The founders were from the Greek city-state of Phocaea, present day Foça on the Turkish coast. The date of the founding was around 600 BCE. 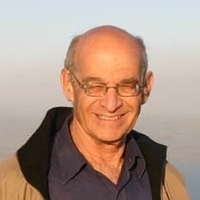 In 2005 Vetus Testamentum published an article by Professor Nadav Na’aman of Tel Aviv University that drew attention to a unique combination of details in both the Greek foundation story of Marseilles and the story in the Book of Judges about the foundation of the city Dan. You know the story in Judges 17-18 but here are the main points to refresh your memory. Many of the tribe of Dan were looking for a new place to settle. They selected five men to go out and spy in other places and report back on the best place to migrate to. Meanwhile in the region of Ephraim a certain Micah established himself with images of gods and made one of his sons a priest. But soon afterwards a Levite looking for a new home came by and Micah promptly offered him remuneration too good to refuse to be his priest. Much better to have a bone fide priest — that is, a Levite. Back to the story of the Danites. The five spies came upon Micah’s house and asked the Levite priest for a sign or message from God about the chances their efforts in finding a new land would be successful. The Levite was able to inform them that God would certainly favour their mission. And he did. So the five returned to their fellow Danites and began to lead them to their new homeland. On their journey they once again passed Micah’s house. This time they invited themselves in and took the images of his gods. When the Levitical priest challenged them he was intimidated and bribed into joining them and becoming the priest of whole tribe. 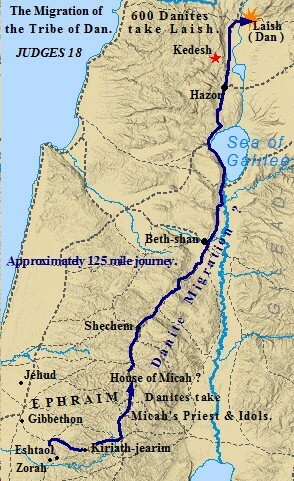 The Danites travelled the rest of the journey with the gods and the priest. When Micah also tried to challenge them he was bluntly cowered into accepting the situation and loss of his images and priest. The story ends happily for the Danites who build their new city, Dan. And the first thing we learn that they did was to set up the images in a proper place and institute a new priesthood. That’s the story you will recall. Now the many details are quite different from the old story that Strabo documents. But the similarity in structure and the unique combination of details are noteworthy. You can read Strabo’s narrative in the fourth paragraph here. The Phocaeans made a decision to leave their city in Asia Minor (Turkey). On their journey they received an oracle in a dream advising them to take on their journey a guide from the goddess Artemis of Ephesus. They weren’t quite sure of the details of how they were to find that guide but they did berth at Ephesus and made inquiries at Artemis’s temple. Among the prominent women devotees at the temple was Aristarcha. The goddess appeared to her in a dream, commanding her to go with the colonists and to take with her a sacred image of the goddess. The Phocaeans finally settled at Massilia (now known as Marseilles) and built a temple to Artemis there, installed the image they had brought with them from Ephesus, and made Aristarcha their high priestess.